Home > PlayStation 4 > The three Atelier Arland games are being re-released on PlayStation 4! And Nintendo Switch! The three Atelier Arland games are being re-released on PlayStation 4! And Nintendo Switch! The three Atelier Arland titles - Rorona, Totori and Meruru - were my first Atelier games ever. Before these three (originally released on PlayStation 3), Atelier games were in such short supply in Australia that I didn't even know the series existed. And soon, you'll be able to own that trilogy on your modern consoles. Koei Tecmo and Gust have announced a re-release of all three titles (all DLC included) on PlayStation 4 and Nintendo Switch. The games will be available in Japan from September 20, and while we've got no hint of a western release just yet, I've got fingers, toes, and everything else crossed. 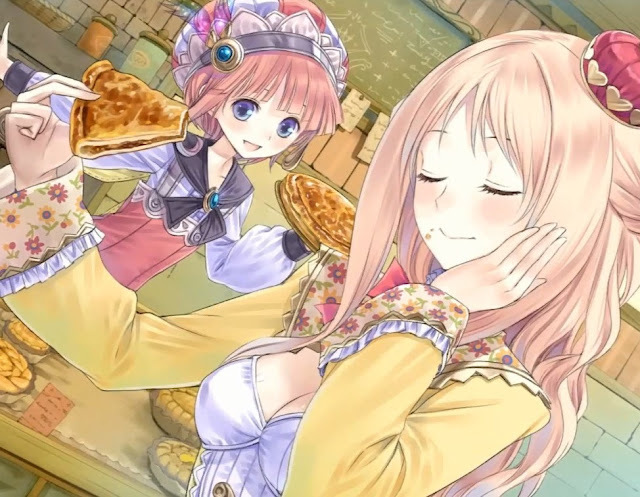 Atelier Meruru, in particular, is just precious to me. I adore Meruru so much. That game's the moment that the series went from being charming to me, to being my very favourite JRPG franchise. You'll be able to buy the three games separately, or together as a special pack. There will also be a limited edition of the three together released in Japan for around $200, which will include all kinds of bonus goodies.